Mmmmm, sausage plus squashage! 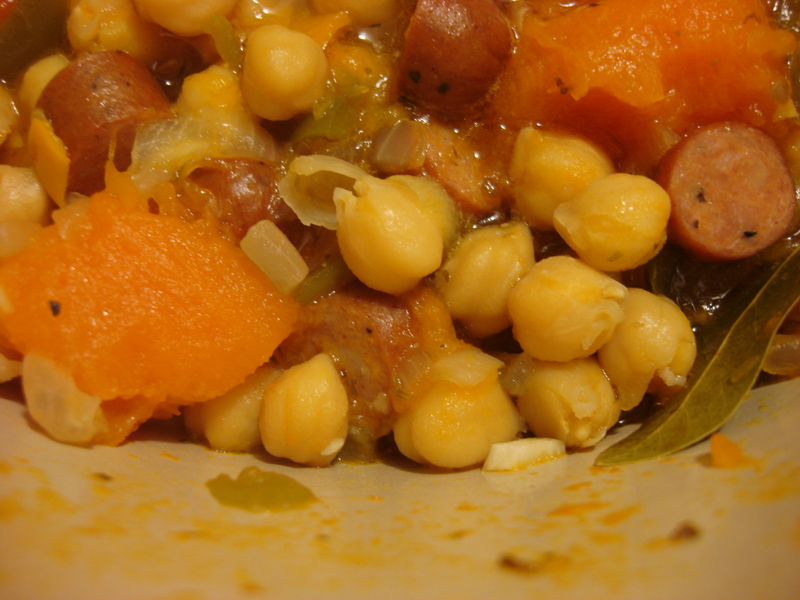 A dream combination for a beautiful, soul-satisfying stew. Lovely stuff. As so often happens, great extra info in the comments. I hope you are well Natalia. Thank you Conor! I am coming for a visit by you this morning. Finally catching up! 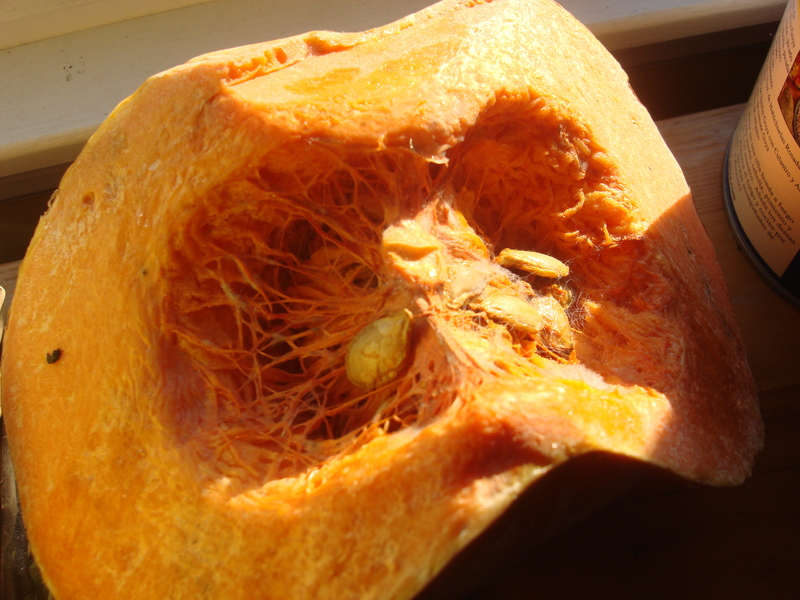 There are loads of pumpkin types…they are native to the Americas! 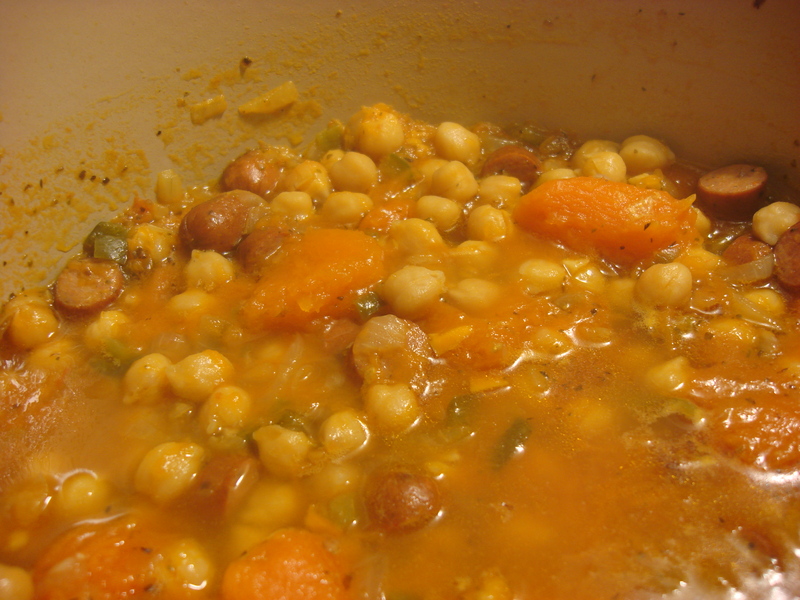 The native people ate The Three Sisters: corn, pumpkin, and beans (they grow symbiotically…the beans climb the corn. The corn shades the squash. They each deposit nitrogen and other nutrients to the soil that the others need!) and they provide almost perfect nutrition,. by the way, I am reading The Telling Room: A Tale of Love, Betrayal, Revenge, and the World’s Greatest Piece of Cheese, by Michael Paterniti…true story from Guzmán, Spain. You Would Love It.